London Wall Publishing, 9780992671877, 464pp. A young woman’s journey of discovery takes her to a world of forbidden passion, savage beauty – and revenge. Instead of providing the sense of belonging she yearns for, the de Fallas are riven by seething emotions, and in the grip of the wild customs and traditions of Andalucía, all of which are alien to Alexandra. 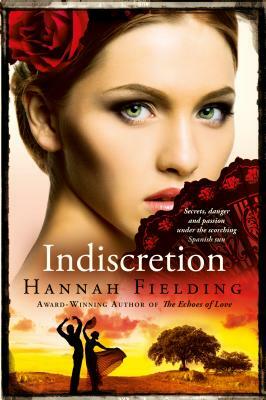 Indiscretion is a story of love and identity, and the clash of ideals in the pursuit of happiness. But can love survive in a world where scandal and danger are never far away? Hannah Fielding was born and grew up in Alexandria, Egypt, the granddaughter of Esther Fanous, a revolutionary feminist and writer in Egypt during the early 1900s. Upon graduating with a BA in French literature from Alexandria University she travelled extensively throughout Europe and lived in Switzerland, France and England. After marrying her English husband, she settled in Kent and subsequently had little time for writing while bringing up two children, looking after dogs and horses, and running her own business renovating rundown cottages. Hannah now divides her time between her homes in England, Ireland and the South of France. She has written five novels, Indiscretion,Masquerade, Legacy (the Andalucían Nights Trilogy), Burning Embers, and The Echoes of Love. Hannah’s books have won various awards including,Gold Medal for romance at the Independent Publisher Book Awards (The Echoes of Love), and Gold and Silver Medals for romance at the IBPA Benjamin Franklin Awards (Indiscretion and Masquerade). Indiscretion has alsowon Best Romance at the USA Best Book Awards.